What are statements that I should not make to an insurance adjuster following an auto accident in Henderson? If you were injured in a car accident in Henderson caused by another driver, you will most likely have to talk to two insurance companies—the negligent driver’s and your own. This may happen even before you leave Henderson Hospital. When you are speaking to an insurance adjuster, you do not want to make the mistake that some victims make and say things that could hurt your claim for compensation. What Should You Avoid Saying When Talking to an Insurance Adjuster? Don’t give opinions. You want to avoid giving opinions on anything that you do not know. This could lead to you giving an inaccurate answer based on what you think, but that may not be true. Stick to what you know, such as where the crash occurred, when it happened, and who the parties involved in it were. Don’t apologize. If you are like many people, you may apologize for things when you did nothing wrong. You do not want to make “I’m sorry” or other similar statements when talking to an insurance adjuster because they can be misinterpreted as an admission of fault. Don’t say you were not hurt. Avoid making statements indicating that you were not hurt in the collision or that your injuries are not that serious. The reality is that the symptoms of back, neck, and spinal injuries, traumatic brain injury, and many other injuries may not be apparent until days or weeks after the accident. Don’t agree to a recorded statement. 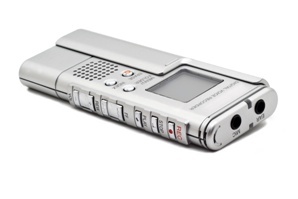 A recorded statement is a tape-recorded question-and-answer session with the insurance adjuster. You are not required to give a recorded statement, and you could inadvertently say something that can be interpreted to mean something that hurts your case. Don’t agree to a settlement. You never want to accept a settlement offer from the insurance company without first obtaining the advice of an experienced car accident attorney to be certain that you are receiving what you deserve. Many initial offers are for less than what the claim is worth. Don’t admit to not having an attorney. You do not want to admit to the insurance adjuster that you do not have a lawyer. This may lead him to try to take advantage of you and offer you less than you are entitled to in a settlement. Your best strategy is to leave talking to the insurance adjuster to an experienced car accident attorney. If you are filing a claim for compensation following a car accident in Henderson, NV, our experienced car accident attorneys are here to help. Please feel free to contact us online or call us directly at 702.405.6000 to schedule your free consultation. I was injured in a car accident. 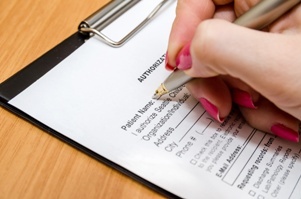 Should I sign a medical authorization release for the at-fault driver’s insurance company? When a negligent driver causes you or a family member to suffer injuries on your way to Adventuredome, the Ethel M Chocolate Factory, or anywhere else in Henderson, you need to hold him accountable for compensating you for your injuries. You may be surprised at how complicated the process can be for filing your claim with his insurance company. You will need to make many decisions as you negotiate your settlement, and even simple ones—such as whether to sign a medical release—can be more important than you realize. The form is a blanket authorization for release of all of your medical records, not just the ones involving your accident. The insurance adjuster wants all of your medical records to try to find information he can use to deny or reduce your claim, such as evidence of pre-existing injuries or inconsistent statements you made to your doctor. If you sign the authorization, you are allowing the insurance adjuster to obtain potentially private and sensitive information about your medical history that is irrelevant to your claim for compensation and that invades your privacy. How Should You Handle a Request for Your Medical Records Following A Henderson Car Wreck? The insurance adjuster for the negligent driver has a duty to the insurance company to investigate your claim and your injuries, so he will need your medical records pertaining to the injuries caused in the accident. However, you do not need to sign the insurance company’s medical authorization to provide this information. Your best strategy is to retain an experienced car accident attorney who can obtain the medical records that the insurance company truly needs and provide them on your behalf. He can also take over the communications with the insurance adjuster and negotiate your settlement so that you receive what you need and deserve. Do you or a loved one need to file a claim for compensation following a car accident in Henderson or nearby Las Vegas? Our experienced car accident attorneys are here to help. Contact us online or call us directly at 702.405.6000 today to schedule your free, no-obligation consultation to start learning about your legal options. What Is the Statute of Limitations for Filing a Car Accident Claim? Can the insurance company require me to give a recorded statement after a Henderson NV car crash? If a negligent driver caused your car accident in Henderson, you could suffer serious injuries that require expensive medical treatments and be off work for months or longer. Fortunately, you may be entitled to compensation for your injuries from the negligent driver. However, the process of filing your claim may be much more complicated than you realize, and you will have many decisions to make before reaching a settlement with the insurance company. One important decision is whether to agree to give a recorded statement. It is not required. There is no requirement that you give a recorded statement when you make a claim following a Henderson auto crash in order to receive a settlement. 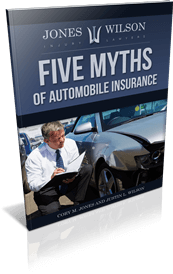 In addition, giving one will not convince the insurance company to settle your claim more quickly or fairly. The adjuster is taking your statement to look for ways to deny or reduce your claim. Inconsistent statements. The adjuster will compare the answers you give in a recorded statement to statements you give to the police, your doctors, and others throughout the settlement process. If you make any inconsistent statements, the insurance company could try to use these inconsistencies to argue that you are not a credible witness. Inadvertent errors. Like attorneys, insurance adjusters are trained to ask questions about car accidents in ways to hopefully gain helpful information from the person being questioned. You could inadvertently give an incorrect answer or an answer you did not mean in response to a confusing question that could later be used against you in court or in settlement negotiations. Do not make the mistake of other Henderson car accident victims and agree to give a recorded statement. Your best strategy is to politely refuse this request and then immediately contact an experienced car accident attorney who can take over the communications with the insurance adjuster and negotiate your settlement for you. To learn more about your legal options for compensation for your injuries, contact us online or call our Henderson office directly at 702.405.6000 today to schedule your free consultation. I Had Back Pain Prior To My Personal Injury Accident. Can I Still File A Claim? Many people live with some measure of back pain on a daily basis. We get up in the morning and feel the need to stretch or bend in an effort to “get the kinks” out of our backs. Some, have experienced spinal injuries to their bodies. Others simply experience degenerative conditions that impact them physically. It is important to understand how degenerative conditions are impacted when a new trauma is inflicted, like a car accident or even a slip and fall. Most victims of motor vehicle collisions are not sure whether they have a claim as they have pain afterward, but acknowledge that they had pain prior to it as well. Or they have been told that they have “degenerative” changes, and so they are not sure whether the pain is a result from the collision, or rather from this “degenerative” condition. It is important to understand the dynamics of back pain following a collision as many fail to get the medical attention they need due to a lack of information. Recognizing that a history of degenerative back injuries can be seriously amplified following a car wreck is a critical matter to understand. Often our clients find their pain is more intense following a collision. It's natural to wonder whether this pain is simply a degenerative condition once again rearing it's ugly head or if it was actually a result of the traumatic personal injury incident. Victims need to know that there are pain generating structures in their spinal column and surrounding musculature, and one of the most commonly injured structures after a car collision is the intervertebral disc. How degenerative backs impact that intervertebral disc is critical into truly understanding back pain. Can A Tramautic Accident Cause Even More Damage To Your Back And Spine? In a 2007 study By M. A. Edgar M.D., found in the Journal of Bone and Joint Surgery, Dr. Edgar studied the anatomical foundation of the lumbar spine, nerves and degenerative changes. He found that sensory nerve endings in degenerative lumbar discs run deep, but are often insensitive with respect to causing daily pain. What they have is deep running nerve structures that surround and supply each intervertebral disc of the back. The problem becomes that when a traumatic event is introduced to these deep running, degenerative, nerve endings. While they are often insensitive due to daily routines and living, when they are impacted by a trauma, Dr. Edgar found that they experience a ‘visceral pain’ reaction. This reaction gets created and transmitted throughout the lumbar region, even though it may only be coming from one impacted intervertebral disc. Dr. Edgar noted that, “when a patient gets injured as a result of a traumatic event, not only can the disc produce pain at the point of the injury, but the deep running nerve endings will also effect the extremities, and even an entire region of the body.” Dr. Edgar’s findings demonstrate that degenerative nerves can actually increase the pain reaction that a damaged intervertebral disc experiences from a traumatic event. So while a car collision may impact a single disc in the spine, the increased visceral pain reaction from the degenerative nerves, can actually manifest itself in other areas of the body that the victim does not associate with the collision itself. Understanding that a degenerative change in the back can actually make you more susceptible to pain is important in treating that pain following a motor vehicle collision. Experiencing a rear end collision that impacts the lumbar back and yet results in leg or hip pain, is actually not uncommon. Yet many victims are left wondering why is that pain found in that area. As we study and better understand the nerve supply structures of the lumbar spine, doctors can better address that pain, and treat victims. Having degenerative lumbar conditions does not mean that you cannot be seriously injured in a motor vehicle collision, or recover for your damages. It does not mean that you have to live with pain because you have “degenerative conditions”. No, the issue can be that you are actually more susceptible to physical pain, because of those conditions. You always want to treat with a doctor who understands the most current and scientific explanations of spine anatomy and pain patterns. When you're treated by such a doctor, you will not experience someone who merely scratches their head trying to figure out why you are experiencing the pain you have. Do You Have Existing Back Pain That Has Worsened Following An Accident? If you have an pre-existing degenerative back condition and have been involved in an accident you need to speak with an experienced spine injury attorney as soon as possible. Please contact us online or call us directly at 866.299.0558 to schedule a free, no obligation consultation. How is an Uber accident different from other car accidents? If you are visiting Las Vegas on vacation or for business, you might find using Uber ride services more convenient than renting a vehicle. Even if you live here, you may use Uber from time to time. While using an Uber driver is usually safe, in some instances the driver could be negligent and cause a car accident. If you are injured in one of these accidents, either as a passenger in a Uber or in a vehicle hit by an Uber driver, it is important to understand how these crashes differ from traditional auto accidents. More complicated issues. 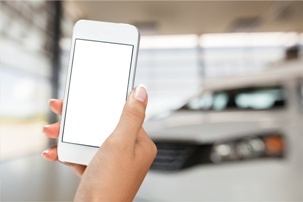 You could face more complicated issues in an Uber accident, especially concerning insurance. It may be difficult to determine whether the Uber driver’s insurance policy or the Uber company insurance policy would cover your injuries—or both. The driver should have purchased a policy that covers him as a commercial driver, but may only have a personal insurance policy that would not cover your accident. In addition, Uber does not consider its drivers employees, and only considers itself liable in certain situations. There could be disputes regarding their responsibility, for example, if the driver was waiting to pick up a passenger or not logged into the Uber system. More liable parties. In a passenger vehicle accident, there is usually only one party who would be liable for compensating you—the negligent driver. In an Uber accident, the Uber driver and Uber could face liability. In addition, if both drivers involved in the accident were negligent, you may need to file claims with three insurance companies. More insurance. In a passenger vehicle accident, there could be much less insurance coverage to pay you what you are owed. In Nevada, the minimum liability insurance required is $15,000/$30,000 in liability coverage to compensate victims for injuries of a wreck. If you were injured in an Uber accident, you could hopefully pursue a claim under the Uber driver’s insurance policy and Uber's, which has $1,000,000 in liability coverage. The experienced car accident attorneys at Jones Wilson Injury Lawyers handle accidents caused by Uber and taxi cab drivers as well as those caused by other negligent drivers. In addition, we gladly represent victims who live out of state or outside of the Las Vegas area as well as right here in Henderson. If you or a family member was injured in an Uber car accident contact us online or call our office directly at 702.405.6000 to schedule your free consultation. Should I Give a Recorded Statement After My Car Accident? How can I interview local attorneys if I was injured in Las Vegas but live somewhere else? If you were injured in a slip and fall or other accident while on vacation or business in Las Vegas, hopefully you are taking a first smart step and retaining a local Las Vegas attorney to represent you. Unless you have used an attorney here before for a slip and fall claim, you should interview a few attorneys before making a final determination on who to hire. This can seem impossible when you were hurt in Las Vegas but live in another city or state. Thankfully, there are easy solutions. It should be a red flag in terms of hiring a lawyer if he cannot accommodate the fact that you are not local. Ideally, you want to talk to the attorney rather than just email him because this will give you a better sense of how well he communicates with you and how much you trust him. What types of cases do you primarily handle? Have you handled cases like mine before? If so, how many and what were the results? Will you be the attorney working on my case? If not, who will be the attorney assigned to my case? Can I meet him? How many cases have you taken to trial? What were their outcomes? What do you see as the strengths and weaknesses of my case? How will you keep me updated on the progress in my case? How do you prefer to communicate and how long does it take you to return calls or respond to emails? What investigation of my accident do you plan to conduct? Do you anticipate hiring any expert witnesses? If so, what type of expert and how much does he charge? How much will it cost me to hire you? The experienced slip and fall attorneys at Jones Wilson Injury Lawyers are happy to represent clients outside of the Las Vegas area as well as local residents. We are committed to answering your questions and keeping you informed about your case no matter where you live. To schedule a free consultation, contact us online or call us directly at 866.299.0558. If you live outside of Las Vegas, be sure to let us know this, and we will be glad to accommodate you. How Do I Find a Local Attorney If I Was Injured on Vacation in Las Vegas? What types of accidents could I have while having fun at a casino in Las Vegas? Casinos in Las Vegas are a fun destination for out-of-town guests here on vacation or business and for residents who want to go out on the town. However, they can become dangerous places where guests can injure themselves when casino owners and staff do not take their duty to keep guest safe seriously enough. 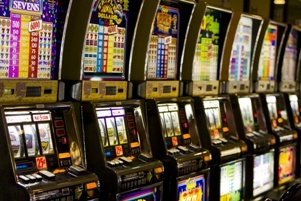 These accidents can happen at the casino buffet and restaurants, in the public bathrooms, at their hotels, in the parking lots, and in the casino gaming area. What Types of Accidents Occur in Casinos? Slip and fall accidents. Slip and fall accidents are probably the most common way that people injure themselves at casinos. Spills of food and drinks, dirty and wet bathrooms, poor lighting, and cracked and worn flooring are a few of the reasons slip and fall accidents occur. Food poisoning. Casinos offer food in restaurants, buffets, fast food services, and room service to millions of guests yearly. When food is not prepared properly, staff do not keep their hands clean, or food is left out too long, guests can become seriously ill from food poisoning. Injuries on shuttle buses. Many casinos offer shuttle bus services to and from airports, hotels, and casinos. People can slip and fall when steps are not clearly marked or debris or luggage is left in the aisles. In addition, if the driver causes a vehicle accident, riders can suffer catastrophic injuries or death. Falls from slot machine chairs. Slot machine chairs get an incredible amount of use on a daily basis, causing them to wear down and break more frequently. When casino owners fail to repair or replace them on a regular basis, an unsuspecting guest could fall and seriously injure himself if a chair breaks. Burns. Some casino owners allow people to smoke in the casino. Intoxicated or inattentive guests can burn others with their cigarettes. In addition, faulty irons in hotel rooms and electrical cords can cause fires that result in victims suffering horrific burns, scarring, and disfigurement. Assaults. 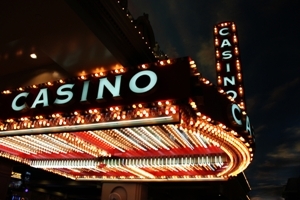 Because people visiting casinos often carry large amounts of cash, they can be the victim of assaults and robberies when casinos do not provide adequate lightening and security. Were you injured in an accident at a casino? 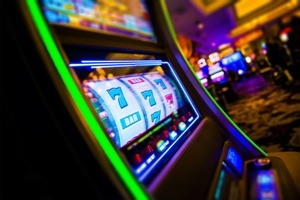 Whether you are an out-of-town guest or a local resident, you need an experienced local attorney to help in your fight with the casino and its insurance company to obtain the compensation you deserve. Contact us online or call our office directly at 866.299.0558 today to schedule a free consultation. Learn how Jones Wilson Injury Lawyers can help you. 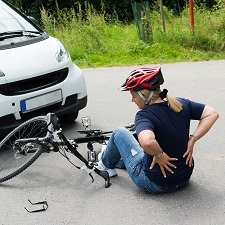 Filing a claim for compensation after a car or slip and fall accident is never easy. It can become even more stressful and complicated if you were injured while on vacation in Las Vegas. Even if you live in another state, you will need to pursue your claim here. Hiring a local attorney is essential if you want to obtain the compensation you deserve for your injuries. You must retain an attorney who is licensed in Nevada, understands the laws that apply to your case, and can file a lawsuit for you if this becomes necessary. While it can be more challenging to find an experienced attorney when you don't live then the area, it doesn't have to be as hard as you may think. However, you do not want to pick just any attorney. Referral. If you know family or friends in the area who have used an attorney in the past, you may be able to get the name of an attorney from them. However, for most people on a vacation or business trip here, this is not an option. State bar referral. You may be able to obtain a referral from Nevada’s state or local bar association. However, you will still need to research the attorneys you are referred to. Internet search. You can research local attorneys on the Internet. You want to look carefully at their websites to see if they have any helpful information regarding your type of legal matter, successful results in cases similar to yours, and client reviews. Any lawyer can put up a website, but an experienced one who is successful is more likely to provide much more information for potential and current clients than just what types of cases they handle. Interviews. You should always take advantage of an attorney’s offer of a free consultation. This is an opportunity to interview him whether you are hiring someone where you live or out-of-state. Once you have narrowed down your list of attorneys, you should schedule your free appointments. An attorney who handles these cases for out-of-state residents will be able to conduct this consultation over the telephone. As well as learning how the attorneys believe that they can help you, you want to interview them to learn about their experience, how they communicate with clients, and how they handle cases for people who do not live in the area. Your interview will be crucial in determining whether the attorney has the experience and track record handling cases like yours and if he is someone you feel you can trust. The experienced legal team at Jones Wilson Injury Lawyers handles cases for many victims of accidents while in Las Vegas on vacation or business as well as local residents. Review our testimonials and case results to see how we have helped clients like you, then contact us online or call us directly at 866.299.0558 to schedule your free, no-obligation consultation. 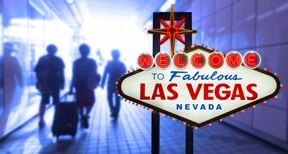 What steps should I take after injuring myself in an accident while vacationing in Las Vegas? If you are injured in a slip and fall, car accident, or other injury accident while in Las Vegas on vacation, getting the medical care you need for your injuries and compensation from the negligent party can seem complicated. It may be even more overwhelming if you do not know anyone in Las Vegas—common if you are a tourist. However, if you want to receive the compensation you are entitled to, you need to take certain steps to preserve evidence and strengthen your claim. Seek medical care. This is obvious if you know you suffered injuries, but it is also important if you do not think you were hurt. You may have hidden injuries with symptoms that will not develop for days or weeks after your accident. You may need care for these symptoms and will want to document them for your claim for compensation. Keep in mind that you will need your medical records when you file your claim. File an accident or police report. If you suffered a slip and fall accident, you should file an accident report with the business. You should contact the police if you were involved in a car accident. You will need to obtain a copy of the incident or police report to provide to the insurance company when you file your claim. Take pictures. You want to take pictures of the accident scene, any defect, spilled liquids, or other causes of a slip and fall accident, and your injuries. If you were in a car crash, be certain to take pictures of the damage to the vehicles, any skid marks, weather conditions, or other important information regarding your crash. Get contact information. You want to obtain the contact information for the negligent party and any witnesses to your accident. It is important to contact potential witnesses soon after your accident before they disappear or their memories of what happened fade. Do not give a recorded statement. You do not have to give a recorded statement to the insurance company for the negligent party and should not agree to give one. You could accidentally say something that could hurt your case. Follow up on your medical care. Many victims of accidents hurt their claim by failing to follow up on the medical treatment advised by their doctors. This makes it seem like their injuries are not that serious. Do not make this mistake in your case. One of your first steps after obtaining medical care and reporting your accident should be to retain an experienced personal injury attorney in the Las Vegas area. An attorney can investigate your accident, get copies of your accident or police report and medical records, and negotiate a settlement of your claim. A local attorney will be licensed to practice law in Nevada—necessary to file a lawsuit—and will understand the laws and practices unique to this area that govern your case. In addition, he will have a network of local qualified experts that you may need to prove your case. At Jones Wilson Injury Lawyers, we gladly handle accident injury claims for tourists vacationing in the Las Vegas area as well as clients who live here. We are happy to accommodate you if you have already returned home. You will receive the same quality representation as you would if you lived here. Contact us online or call our office directly at 866.299.0558 to schedule your free consultation. Is a business responsible for compensating me when I hurt myself in a slip and fall accident outside a building? Slip and fall accidents outside buildings happen for many reasons. Cracked pavement, spilled liquids and food, and potholes in the parking lot a few of the hazardous conditions that could cause you to fall and suffer serious injuries. You may have a right to be compensated for your medical bills, lost wages, and the pain and suffering you experience due to your injuries. However, like with many issues in slip and fall accident cases, it is not always easy to determine who is responsible for compensating you if you are hurt outside a business. Does the business own the property? If the business owns the building, the business would be responsible for the upkeep of the common areas, parking lot, and sidewalks. In this situation, it is likely that you can hold the business liable for your injuries. Does the business rent its space from the property owner? When a business leases its store, office, or other structure, it can become much more challenging to determine who is responsible for the upkeep of the building and the areas surrounding it. You would need to review the lease to see if the owner of the property or business had control of and was responsible for the upkeep of the outside of the property. If this was the owner’s responsibility, you may need to pursue your claim against the owner and not the business. 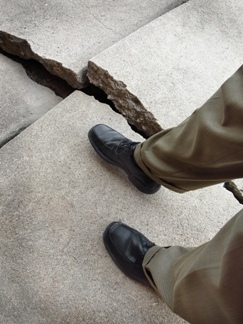 However, if the business knew about the dangerous condition, such as a large pothole, and did nothing to warn guests of the danger or to get the property owner to correct the problem, the business could face some liability as well. Is there a contract with a third party to maintain the outside of the building? Some businesses or property owners will enter into a contract with a third party to maintain the outside of a building, such as landscaping, care of a parking lot, or removal of snow. If this was the situation in your case, this third party could also be at least partially responsible for compensating you. Depending on the facts in your case, you may be able to file a claim with the business’ or property owner’s insurance company as well. An experienced slip and fall attorney can help you identify the negligent party and obtain a copy of the business’ lease, which you probably will not be able to get on your own. If you injured yourself in a slip and fall accident outside a business, fill out an online form to schedule an appointment with one of our attorneys to discuss your situation with you and learn about your legal options.